Show your appreciation to a caring and committed helper this season with the 3 kids holiday sweaters baby sitter gift that is personalized to be just right. 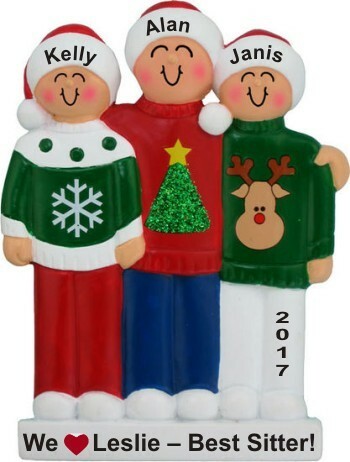 As a personalized baby sitter ornament, it includes the information you share lettered by hand in a stylish font to create a hand personalized Christmas ornament that is one of a kind. Featuring bright, cheerful faces and fun sweaters, this personalized babysitter ornament 3 kids will delight and be a sentimental favorite in years to come. There’s room on the reverse side for a longer message, if you wish. 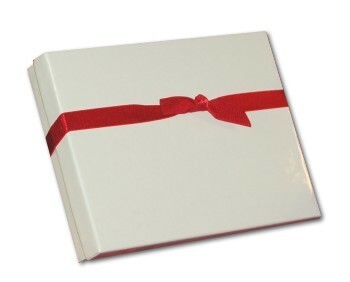 The 3 children baby sitter ornament personalized for a special person includes our plush velvet gift and storage bag. please type (no name) in the name field. We are sorry, at this time we can only personalize English-language letters and punctuation, as well as digits 0-9. Foreign characters and special math symbols cannot be electronically captured. Please review what you just typed, and remove the foreign character to proceed.